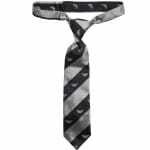 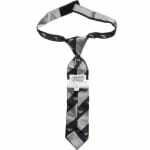 Armany Junior boys navy blue silk woven tie in silver grey stripe. 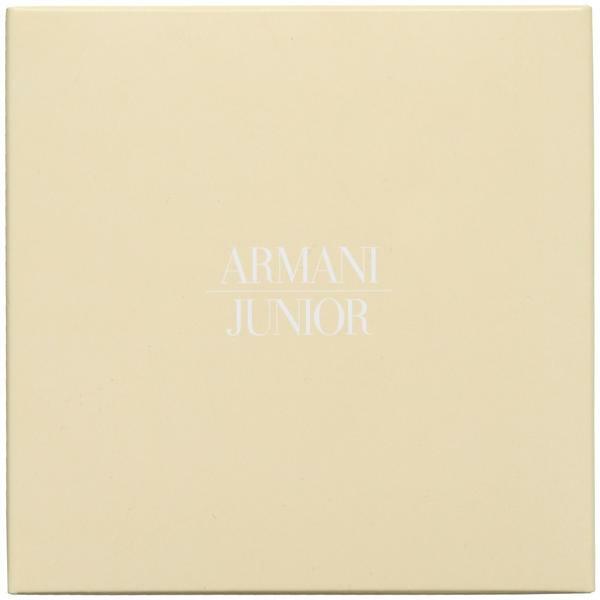 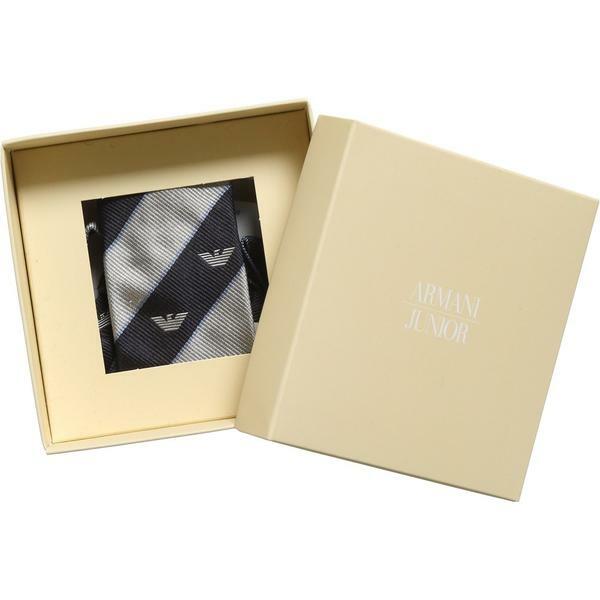 Made in 100% silk with the Armani eagle logo. 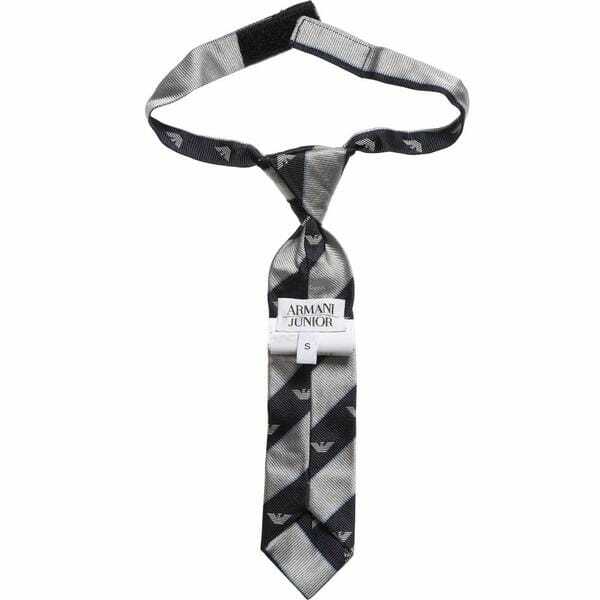 The tie has velcro fastening at the neck. 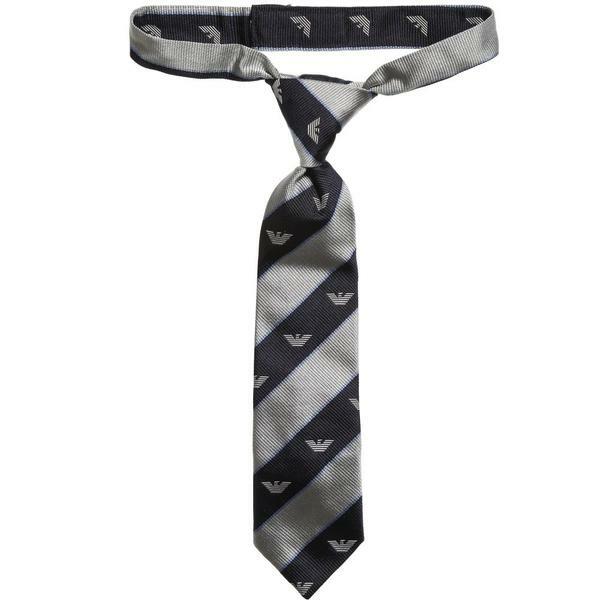 It is specially designed to make it easy for kids’ fingers.